The Blackhawks were able to maintain the core of their team, which includes team captain Jonathan Toews, Patrick Kane, and star studded defenseman Duncan Keith. The Blackhawks lost defenseman Johnny Oduya to free agency along with two other veteran Stanley Cup ring holders Patrick Sharp, and Brandon Saad. These are major skates to fill for the Blackhawks, and head coach Joel Quenneville will have his work cut out for him. Blackhawks fans and players alike are going to have some new faces to get used to on the ice and in the locker room, and this could affect the team chemistry. Newly acquired defenseman Trevor Daley will bring some added veteran leadership to the younger defensemen and forwards. The Chicago Blackhawks seem to be poised and ready for another Stanley Cup run, however they have had another recent off the ice issue involving Patrick Kane. As soon as Kane is cleared he will be ready to hit the ice with his fellow teammates, and help work the newcomers into the team chemistry. This is not the first time the Blackhawks have faced some tough decisions following a Stanley Cup win. The Blackhawks lost a big part of their team after their 2010 season and one major player they lost was current Winnipeg Jets star forward Dustin Byfuglien. The salary cap presents a lot of obstacles for any team, especially a team that has won three championships in the last six years. Blackhawks general manager Bowman and his staff have engineered some great hockey trades and some of the other Blackhawks newcomers include Artem Anisimov, Marko Dano, and Ryan Garbutt. 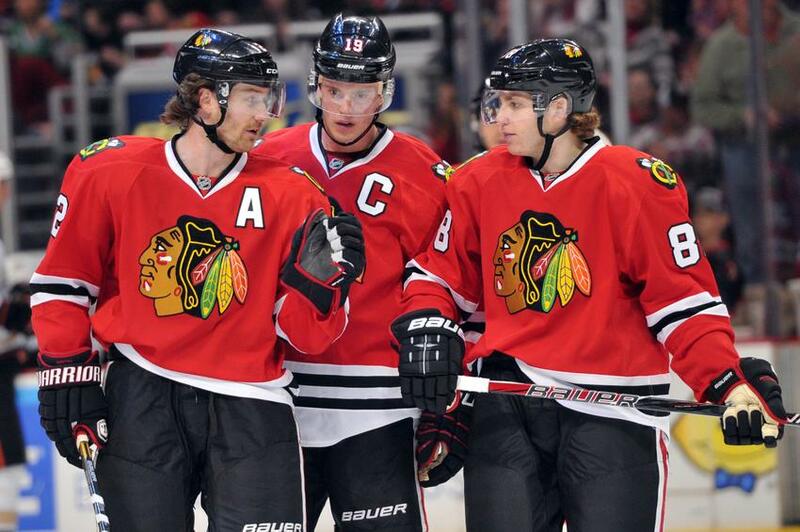 The Blackhawks start training camp at the United Center on Monday, September 21. This scrimmage will be the Blackhawks first skate at the United Center since winning the Stanley Cup at the Madhouse on Madison. The Blackhawks will be in training camp for just over two weeks before they open up the season at home on Wednesday October 7.